Responsible for overall team assigned replenishment purchasing, including customer fill rates, inventory DSO, inbound cases per pallet efficiencies, inbound balance, aged stock inventory management, perishable shrink management, costing integrity of our sku base and other Merchandising projects as assigned. This leadership position will include empowering the team while effectively coaching and supporting cadence relative to procurement tools and resources on all assigned procurement activities. This role may include direct procurement activities, and will require proficiency within E3 trim and IDS. 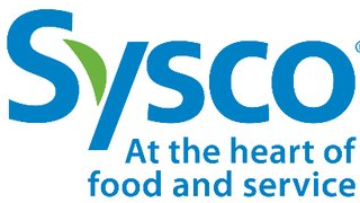 Sysco Prairies encompasses Saskatchewan, Manitoba, and Thunder Bay. This position can be located in Regina or Winnipeg. Effectively manage and support processes to meet and exceed customer service levels while balancing DSO and maintaining inventory turns to budget, shrink to plan, aged and obsolete management. Communicate and coach to hold team and vendors accountable for follow up and coordinating with the Regional Operations teams to ensure that warehousing issues and efficiencies are factored in the purchasing decisions. Accountable to support the administration of the accurate and timely costing of all items within the system for all categories. This includes securing PO confirmations for 100% of purchase orders and assisting in the resolution of pricing variances. Work with Regional Merchandising and Sales teams to maintain and enhance service levels standards; ensure purchasing-related shortages are minimized to support service level objectives, maintain continuous improvements to customer fill rates that meet and exceed Regional fill rate goals and PIP. Work in partnership with all Regional stakeholders, including Sales, Operations, Merchandising, Logistics and Finance. Work with Regional Logistics teams on successful conversions of prepaid vendors to collect and in support of logistics and backhaul overall metric targets. Work in conjunction with the Regional Merchandising and Marketing teams to increase and enhance the efficiencies and profitability of the Region. Post-secondary education in related field with progress towards PMAC designation. Preference will be given to those who have excellent interpersonal skills including initiative, communications project management and time management. Ability to adapt to a dynamic environment. Experience managing in a unionized environment is an asset. Preference will be given to candidates with experience in managing a distributed team. Experience in the food industry will be considered an asset.